The salaries of the workers have not been paid for the past three months, the amount due by the state is more than Rs 3 crore. 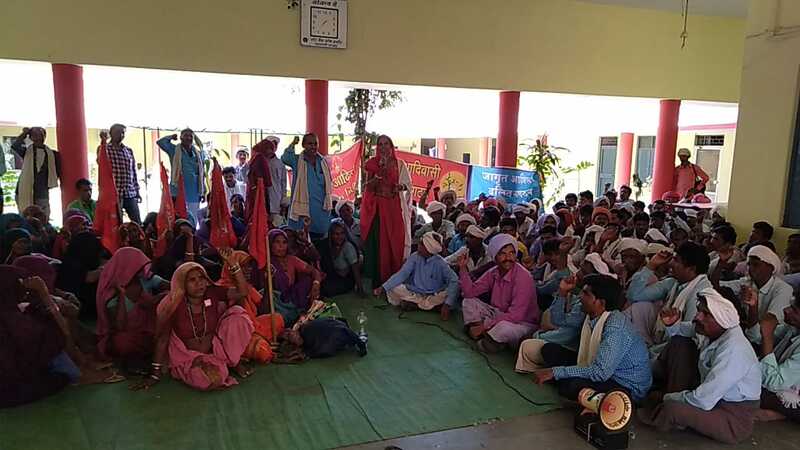 New Delhi: Singing songs of resistance in the scorching heat, over 6,000 workers have been sitting on an indefinite strike for the past eight days in Badwani, Madhya Pradesh. The Adivasi workers from across 20 villages have not been paid for the work they did under the Mahatma Gandhi National Rural Employment Guarantee scheme, for the last three months. Their dues amount to more than Rs 3 crore. “Despite this, in the month of March, our karyakartas (members) went to the offices multiple times only to be told that the payments have been lying pending with higher authorities in Bhopal,” she said. Several attempts were made by the villagers to reach out to the state administration. An IAS officer, along with the superintendent, had written to the state administration on March 27, demanding immediate clearance of the dues. Instead of taking cognisance of the dharna by the tribal workers, the state government is taking measures to ensure that the voices of the tribals are suppressed. Villagers on the ground informed Newsclick that over fifty police personnel have been deployed outside the panchayat premises where the dharna of the workers is ongoing. The state has also imposed Section 144 on the villagers to ensure that the protest does not amplify. The crisis of payments under the scheme is one spanning across the country and not just Badwani. As per the MNREGA website, run by the Rural Development Ministry, as of March 30, Madhya Pradesh has a deficit of Rs.202.04 crore. In addition to this, the dues of the unpaid workers are amounting to over Rs. 44 crore in the state. Also Read: No Pay for Months: MNREGA, a Sham in Rajasthan?